OETA airs an all-new Gallery America on Thursday, June 9 at 7 p.m. on OETA-HD. Gallery America gets elegant in June with crooner Wade Tower of Stillwater. With his act patterned after the great Frank Sinatra, Tower travels the country with a tuxedo and a tune bringing old blue eyes back to life. 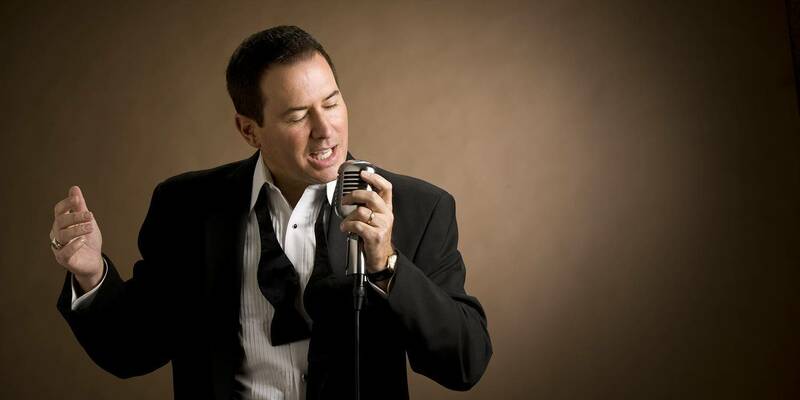 He’s not an impersonator, but a fan who has studied Sinatra’s vocal stylings for years and he is dedicated to the standards like “Come Fly With Me”, “That’s Life”, and “My Way”. Tower is passionate about showing everyone they can chase their dreams. That if they face it all and still stand tall, one day they’ll get to say, “I did it My Way”. Also featured in June is Harry Wirth, a painter who uses water color and a window to create peaceful works of art. The painter/architect lives in Salem, Wisconsin, where the home he created with blue prints and math has provided the inspiration he needs to create beautiful landscapes on canvas and it’s all thanks to a few well-placed windows. Genealogists Joshua Taylor, Kenyatta Berry and Mary Tedesco revisit their favorite stories from previous seasons, and three memorable guests return to share what has happened since their appearances. Tedesco reconnects with a man whose elderly mother received the gift of a lifetime when she learned about the family she never knew, while Taylor catches up with a woman whose reunion with a cousin has reshaped her life. Finally, Berry hears how the revelation of a mother’s identity has extended the branches of a mystery writer’s family tree. Genealogy Roadshow: Our Favorite Stories premieres Tuesday, June 7 at 7 p.m. on OETA-HD.